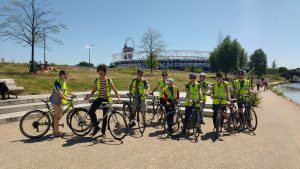 Early June saw AHEAD hold their annual sponsored Bike Ride and Walk. It was a beautiful day and the event was enjoyed by all. To relive the event and sample the atmosphere of the day we have compiled some videos that we hope will reflect the fun we had, but also encourage all who would like to help and take part in AHEAD’s objectives, to sign-up for next year’s event. Enjoying the day, celebrating our objectives!